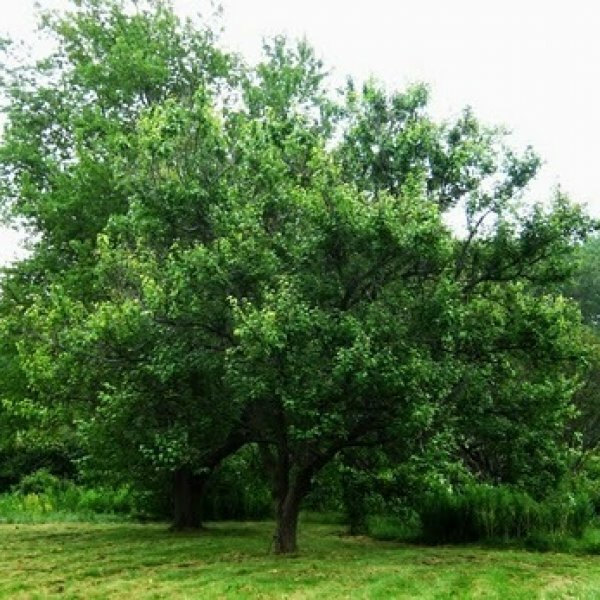 This deciduous fruit bearing tree is the parent of most modern apricot cultivars. 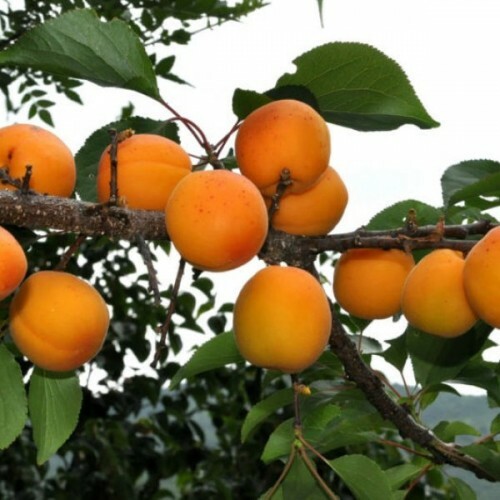 Native to Northeast China, and introduced to cultivation there more than 3,000 years ago, the apricot reached southeastern Europe via Armenia or Persia in about 70 BC. It was later introduced to Spain by the Arabs. It arrived in England and the eastern United States in the seventeenth century; Spanish missionaries brought it to California in the eighteenth century. Few selections were made until the nineteenth century. 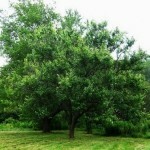 Apricot trees are small to medium-sized, with spreading branches studded with short spur-like branchlets. The oval, bright green leaves have serrated edges and reddish purple petioles (stems). In late winter or early spring, pinkish white five-petaled flowers are borne on the spurs and on one-year-old wood. The slightly flattened, spherical, pitted fruits mature about 3 or 4 months after the flowers bloom, ripening to orange or yellow, often with a red blush. Most modern cultivars are self-fruitful, requiring no cross pollination. Apricots are usually grown as standard-sized trees, although genetic and grafted dwarf trees are sometimes cultivated. 4. Prepare a pot for each seed. Fill 15-20 cm plastic pots with garden soil taken from the bed where the trees will eventually be planted. Sow one seed in each pot at a depth of 2-3 cm. 5. Water the seeds to a depth of 8 cm after planting them. Maintain moisture at a 8 cm depth during the germination process. 7. Watch for sprouting one month after sowing. Maintain the same light and moisture conditions provided to the seeds during germination until they grow to 10 cm in height.